Give a Great Future today! 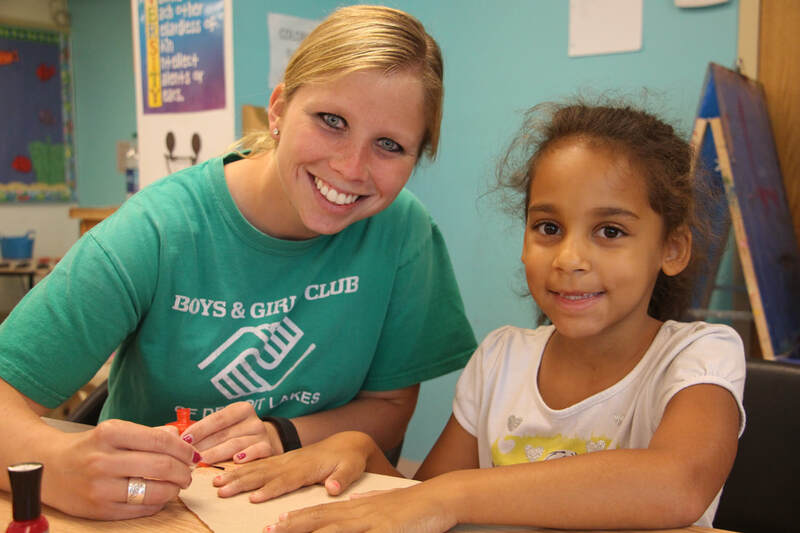 ​When you invest in the mission of Boys & Girls Clubs of Detroit Lakes & Perham, you impact the futures of our young members. Our Clubs provide valuable opportunities for children that help them succeed academically, practice healthy lifestyles, and develop good character and citizenship. Your support opens doors for children to step through on their path to adulthood. ​Our operating budget supports the day-to-day operations of our Clubs in Detroit Lakes & Perham. It enables us to retain talented and compassionate staff to deliver high-quality programs in a supportive environment to the children we serve each and every day. This budget makes it possible for us to safety transport children from school each day and to get children to and from field trips. Our budget allows us to provide healthy snacks and meals, art supplies, recreation equipment, technology, and much more. ​From homework help and fitness challenges to snacks, meals, and field trips - we support our 700+ members across multiple dimensions. While it costs our Clubs approximately $1,800 per year to care for each child we serve, we only charge $50 per year for a child's Club membership and collect daily fees only during the summer months when our Clubs are open full days. It is important to us that we are accessible to all children and families who need us, so if families cannot afford our memberships and fees we have scholarships available to help. We need your help to continue to give kids a world-class Club experience. Give online today by selecting the DONATE NOW button, contact us to make an offline donation, or get involved with one of our exciting special events! Great Futures Start HERE! Our Clubs are dedicated to helping young people build strong character and realize their full potential. 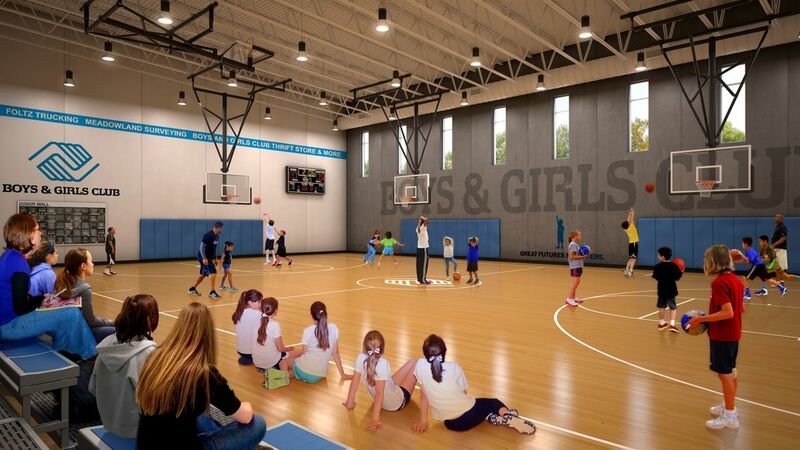 In order to provide kids with the most enriching experience possible, our Detroit Lakes Club is in the midst of a fundraising campaign to raise $6.5 million for our new facility. ​We are humbled by the outpouring of support for our building project so far - with just over $6.2 million raised from community members, businesses, foundations, and others. Our campaign goal is 95% raised and we are confident that with your help, we will meet our goal. Every gift counts! And here's an update on the building! The construction of our new building began in August 2018 and will be 29,650 square feet, almost double the size of our former Club building! This will allow us the opportunity to serve more club members and continue increasing our enrollment. In 2005 we were serving an average of 32 club members, whereas in 2017/2018 we were serving 150 daily. We hope to see those numbers continue increasing as we open our new facility. Click DONATE NOW to be part of a great future for our club members.  The Boys & Girls Club of Detroit Lakes Endowment Fund is committed to financially enhancing and supporting Detroit Lakes Club operations now and into the future. The Endowment Fund invests funds for future projects or specific needs as determined by the Fund's board of directors. ​Each year, the Endowment Fund provides a percentage of its interest income as a gift to the Detroit Lakes Club to be used for summer scholarships for families in need. Since 2013, Endowment Fund scholarships have helped 218 children participate in Club activities. To learn more about Endowment Fund giving opportunities, please contact us. We would be delighted to tell you more about how your thoughtful and generous gift will have an immediate impact on the young people we serve. Your donation will have a dramatic impact on the lives of children in Becker and Otter Tail Counties. Help us build a better future for the kids who need us most! Participating or attending special Club events like our Polar Fest Plunge or Ride for the Future. We love it when our supporters visit our Clubs. We want to share our mission and our work with you. Please let us know if you would like to stop in, have a tour, visit with our staff, and experience our mission at work first-hand. No matter how you join with us - through volunteering, mentoring, educating, or contributing financially - it all makes a difference!